Grand Teton National Park has closed the Hidden Falls and Inspiration Point tourist attractions because of concerns that a fissuring rock wall could pose a danger, as growing cracks and fissures were observed in the large buttress above Hidden Falls. 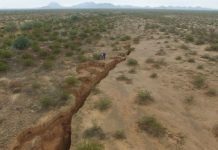 The main crack is about 100 feet (30 meters) long and runs horizontally along a rock wall that’s at least 100 feet tall. Hidden Falls and Inspiration Point are located in the popular Jenny Lake area and are among the park’s busiest attractions. 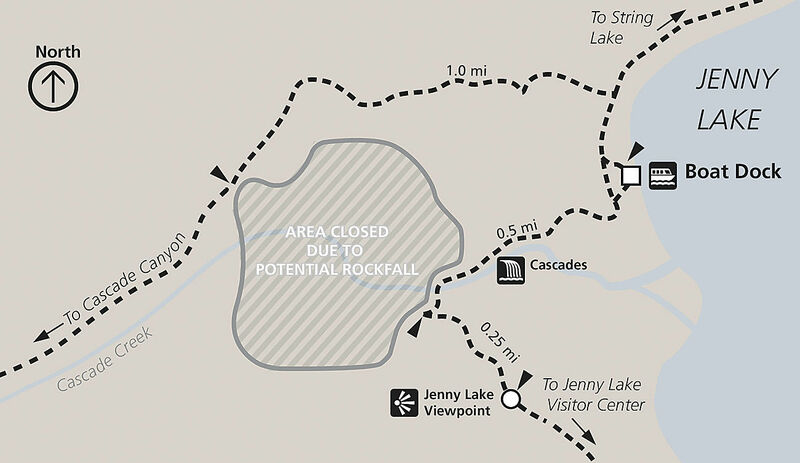 Other Jenny Lake attractions, including the ferry, remain open. Grand Teton National Park officials say there is no estimate for when the park’s popular Hidden Falls area will reopen to the public. The 100-foot waterfall on the southwestern shore of Jenny Lake is one of the park’s most popular hikes. Park rangers closed the falls to public access on Tuesday after detecting a growing and potentially unstable 100-foot-long crack in the rock buttress above the viewing area for the falls. 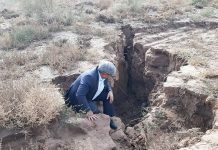 Park staff is monitoring the crack daily and consulting with U.S. Geological Survey specialists from afar but, so far, have not been able to confidently say if the area is safe for the masses. “We’re really going to need a few more days of data to make a solid determination if the rock is still moving,” park spokesman Andrew White said Friday. Following data collection, park rangers will conduct a “risk assessment” to determine if the area can be reopened, he said. The huge fissure the fissure on the buttress above Hidden Falls was discovered by Exum Mountain Guides on Monday while training guided climbers for Teton ascents. By the next morning the gap had widened, and park rangers decided to close the area in “an abundance of caution” to ensure visitors wouldn’t be in the path of potential rockfall. It is unknown how long the closure at Hidden Falls and Inspiration Point areas will be in place. 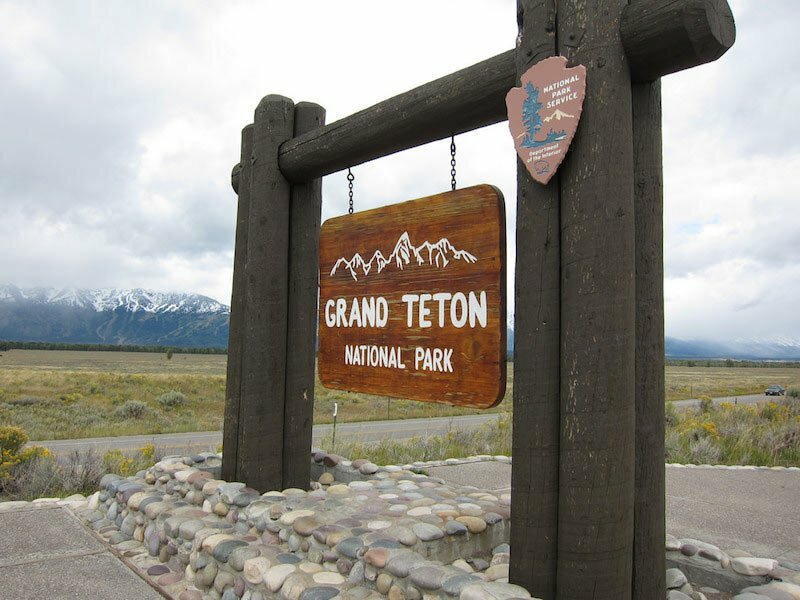 But one thing is sure… Grand Teton is near Yellowstone!